EconomicPolicyJournal.com: Ronald Reagan Literally Recorded an Album in 1961 Attacking Medicare and Single-Payer Health Care as Soviet-Style Socialism. 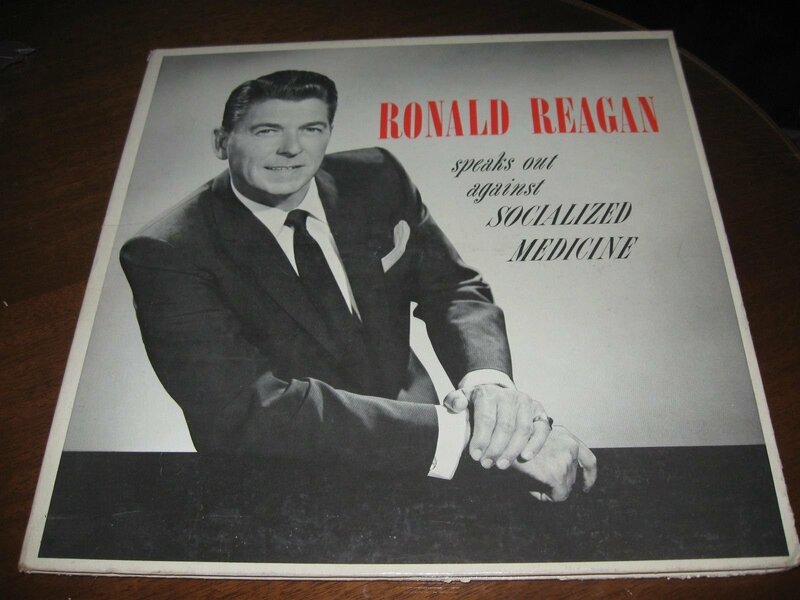 Ronald Reagan Literally Recorded an Album in 1961 Attacking Medicare and Single-Payer Health Care as Soviet-Style Socialism. Sadly nothing was done to end crony-capitalist medicine but rather more was done to encourage it. Medicare itself was made as a patch to keep crony-medicine going. Now that it grown to its immense size the only alternative put forth is socialized medicine. Trying to get people to understand over a century of incremental action to grow crony-medicine is practically impossible. The problem is now framed as crony-medicine (mislabeled as free market) vs. socialized medicine.